Courtesy of Grace A Oleson, Trademark Realty, Inc. Huge Price Reduction!!! Total Renovation inside and out. Everything new including roof, siding, heavy-up, 2 zone HVAC system, custom front door and bay window and 4 car driveway. Brand New Oakwood floors on entire main and upper levels. 1,500 sq ft open floor plan addition includes half bath, kitchen with island, dining/family room and French doors leading to large Treks deck . Upper level includes 4 bedrooms and 2 full bathrooms. Master bedroom and bath addition includes new glass shower, soaking tub and top floor laundry room. Finished walkout basement with rec room and full bath. 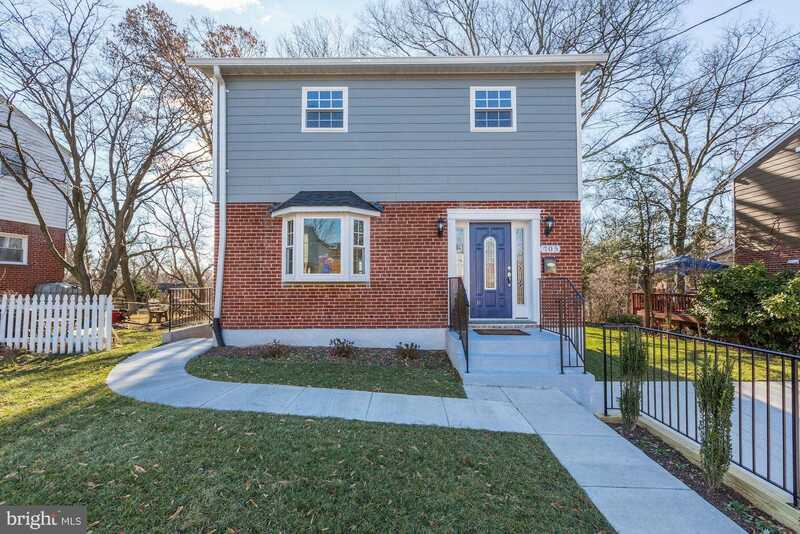 Walking distance to NEW PURPLE LINE. DON’T MISS OUT!! Make this beautiful fully renovated house your HOME!